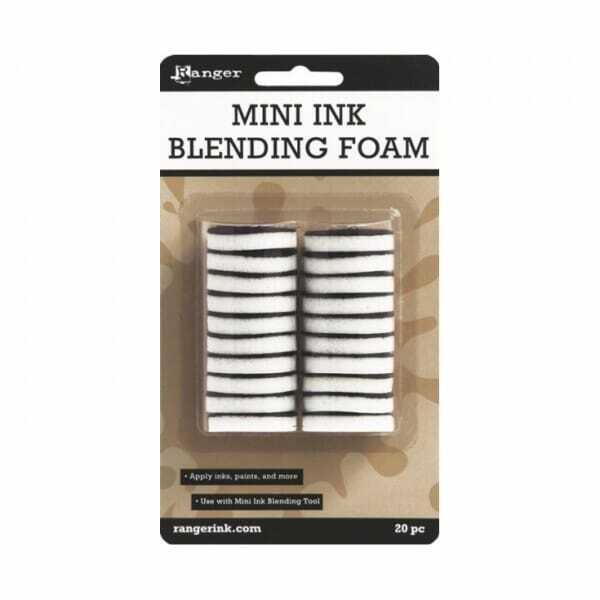 Mini Ink Blending Replacement Foams 1" Round (Includes 20 Foams). The Mini Ink Blending Tool features a round foam applicator that is perfect for applying inks and paints into small areas. Featuring the same full-sized handle, the Mini Ink Blending Tool can be stored in the Craft Spinner for easy and convenient use. The round foam applicator is the perfect tool to apply inks and paints through stencils. Use a separate ink blending foam for each color. With 2 tools and 4 foams, creative color possibilities are endless. Replacement Foam is available in a 20 piece pack and is sold separately. Customer evaluation for "Ranger Ink - BS Blending Replacement Foams 1 inch 20 pieces"